In this May 30, 2018 file photo, FEMA Administrator Brock Long speaks during a news conference at the National Hurricane Center in Miami. Long said that while leading FEMA has been the opportunity of a lifetime, it's time for him to go home to his family. 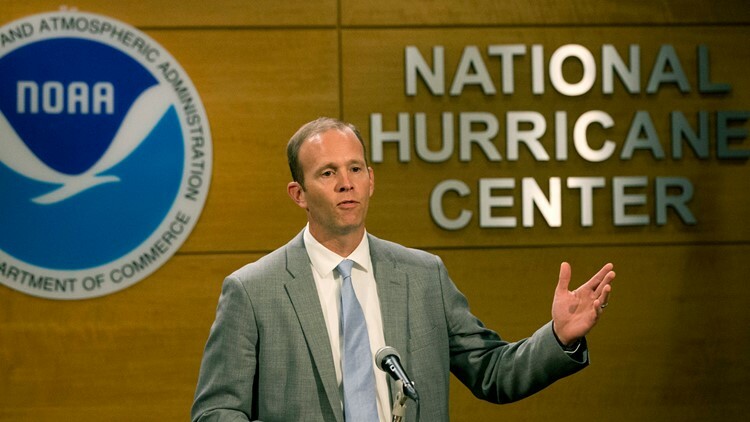 FEMA Administrator Brock Long announced Wednesday he would be stepping down after two years leading the federal agency. "While this has been the opportunity of the lifetime, it is time for me to go home to my family – my beautiful wife and two incredible boys," Long said in a statement. Bloomberg reporter Jennifer Jacobs noted that Long's family still lives in North Carolina. Secretary of Homeland Security Kirstjen Nielsen released a statement saying that Deputy Administrator Pete Gaynor would be taking over as Acting Administrator once Long departs. "Rest assured, FEMA is prepared to continue to lead current recovery efforts, to respond to new disasters, and to get ready for this year's hurricane season"
Long said in a statement that he leaves knowing the agency is in good hands.